Omarama is a small township (population 267 at 2013 census) at the junction of State Highways 8 and 83, near the southern end of the Mackenzie Basin, in the South Island of New Zealand. 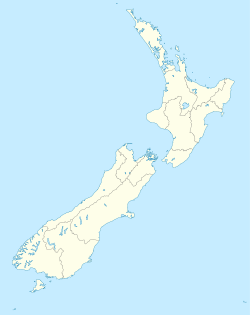 Omarama is in the Waitaki District, in the southern Canterbury region. The Ahuriri River is a short distance to the north of the township. Omarama is primarily a rural service centre, providing local farmers and other residents with necessities and facilities such as grocery shopping, fuel and mechanical services, as well as a post shop. In more recent years these and similar services have expanded moderately, due to the increase in new residents and visitors, including anglers, artists, astronomers, sailplane enthusiasts, skiers and general tourists. A significant proportion of permanent village residents are employees of, or contractors to, Meridian Energy Limited, a state-owned enterprise which is responsible for the nearby dams and powerstations that are part of New Zealand's hydroelectricity generation. Omarama is Māori for "Place of Light", a reference to its extraordinarily pure and clear sky. Although traditionally sheep country, Omarama area farms, along with those within the rest of the Mackenzie Basin, have rapidly converted to predominantly dairy farming, due to falling sheep meat and wool prices, and the recent boom in dairy product earnings. This conversion has necessitated major changes to the local environment, with iconic tussock lands being ploughed and replaced by pasture, which has been facilitated by new irrigation schemes. Large centre pivot irrigators and private canal networks now dominate much of the landscape. Recently however, diminishing returns on dairy-based agriculture have led to farmers investigating alternative methods and practices, some now experimenting with biofuel crops. There are many rivers and lakes in and near Omarama suitable for recreational fishing. The nearby Ahuriri River is a noted fly-fishing river and adjacent Lake Benmore and Lake Ohau are popular with boaters, as well as fly casters and other anglers. Commonly encountered local fish species include salmon, and brown and rainbow trout. Omarama is home of the annual mid winter star party. Local street lighting and other light sources are dimmed or switched off for the duration of the event. Benmore Peak Observatory is located approximately 13 km north of Omarama, atop the nearby Benmore Range. Due to the strong gliding conditions in the Omarama area, and Mackenzie Basin, it is known as a world-class gliding location, gaining fame among sailplane pilots around the world after hosting the 1995 World Gliding Championships. Pilots come to Omarama to experience strong lee wave conditions, ridge soaring and thermal flying. It is common for Omarama-based gliders to soar hundreds of kilometers along the Southern Alps each day. In ideal conditions, it is possible for gliders to reach distances in excess of 1000 km. Several national and world gliding records have been achieved from Omarama, and the prevailing conditions have attracted record seekers such as Steve Fossett. The Omarama Gliding Club and several commercial gliding organizations are based in the town. There are three skifields within the MacKenzie Basin; Ohau, Round Hill, and Mount Dobson. Omarama is a popular holiday destination amongst those living in surrounding districts and provinces, many owning family holiday residences within the village. Tramping is also popular with locals and visitors alike, due to the spectacular and often rugged landscape. Due to the spectacular scenery, numerous artists regularly visit the Omarama area, and several are now permanent residents, exhibiting their Omarama and Mackenzie landscapes and other work in local galleries and further afield. Omarama is on the route of the Alps to Ocean Cycle Trail, after the trail was constructed following approval in 2010. In his novel The Zombie Survival Guide, Max Brooks of World War Z fame makes reference to Omarama as site of a historical zombie attack. ^ "QuickStats about a place: Omarama". 2013 Census. Statistics New Zealand. Retrieved 22 February 2018. ^ Rae, Sally (28 Dec 2016). "From backwater to water 'battleground'". NZ Herald. Retrieved 9 April 2017. ^ Tatham, Helem (7 December 2016). "Benmore Irrigation Company shareholders 'hugely disappointed' by decision against resource consent". Stuff.co.nz. Retrieved 9 April 2017. ^ Tollan, Jeff (2009-12-14). "Gliding on to a world record". STUFF. Retrieved 9 April 2017. ^ Taylor, Marty. "Updraft". New Zealand Geographic. Retrieved 9 April 2017. ^ "Welcome to New Zealand's Alps 2 Ocean Cycle Trail". alps2ocean.com. Retrieved 9 April 2017. Wikivoyage has a travel guide for Omarama. 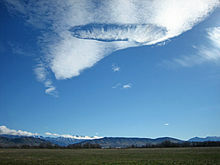 Wikimedia Commons has media related to Omarama.